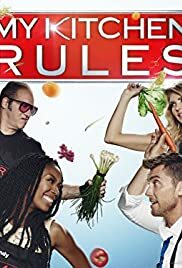 Andrew Dice Clay and Valerie Silverstein's turn to host falls into chaos, as Andrew focuses on entertaining and leaves Valerie alone in the kitchen. Naomi Judd and her husband, Larry Strickland, host an Italian-themed dinner party; Brandi Glanville and Dean Sheremet prepare a difficult entrée. Musicians -- and siblings -- Brandy Norwood and Ray J prepare a challenging meal; TV host Lance Bass and his mother, Diane Bass, prepare a Southern feast. I'm torn on this one, While I like Curtis Stone, I didn't think Cat Cora was the best judge to sit next to Curtis. they dropped the dessert from the menu in order to be able to feature two different contestants. 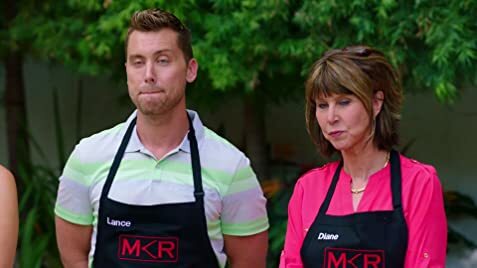 The Australian show is featured four or five nights a week, now I get that the USA can't really do this, but the best part of the Australian show is the dinners at home versus in the MKR kitchen, and they are popular for a reason. I felt Fox must have added this just to appear to bring in the idea that it is like the Australian show, but it's not. I'm not also entirely in love with the idea of featuring celebrities especially since it's like these are "has beens" and not really the more popular of celebrities. This is not Celebrity Apprentice. The celebrities I'm sure are getting paid, what else would the incentive to be to do it since no charity is being supported by participation. I've looked forward to the US series, but right now I'm not even sure I'm going to remember what night the episode 2 is going to be on. Sadly, I don't see the show lasting if it continues with the way it started. It's just a little to boring for me.